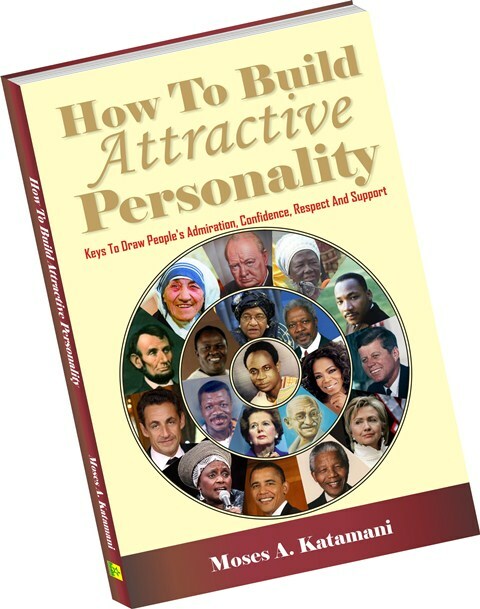 This book is aimed at helping you develop your personality and relationship skills to draw the right people to yourself. It discusses the concepts of personality; how to discover your personality, build interpersonal relationship skills, communication skills, personal confidence, establish trustworthy life, and other very important principles that help draw the right people to you. The work is aimed at helping you identify these issues of life and how they affect your social life and relationship with people. It is an integrated study which cuts across diverse subject areas including case studies of personalities. “Going up you need people; everybody need somebody.” Best wishes as you buy, read and apply the principles in this book. Moses A. Katamani is a Ghanaian; President & CEO of ComBEL International Ltd, a company with specialties in Education; Knowledge Promotion, Career, Personality, Human Resource and Business Development, Investment, Research and Publications, ICT Services and Commerce. He is also the Executive Director of Kambel Africa Alive; an NGO which focuses on Issues of Life, Education, Health, Career, Personal and National Development in Ghana and Africa. He researches, writes and speaks on Issues of Life, Education, Career and Personal Development, Entrepreneurship, Investment and Wealth Creation, Communication and Critical Thinking, Leadership and Governance. He is an Author, Entrepreneur and Inspirational speaker with passion, who speaks to touch the heart and mind of his readers and audience.